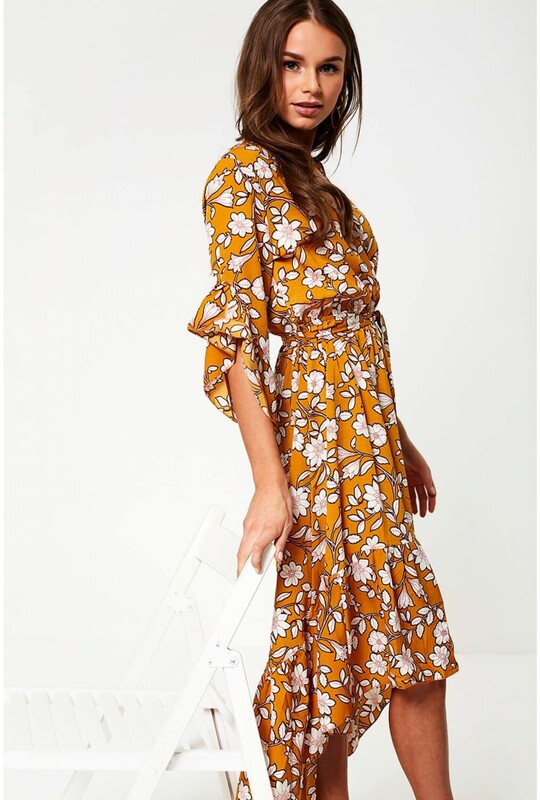 This floral print design midi dress in mustard will give your wardrobe a feminine update. Featuring a mock wrap front, self-tie belt for added definition. A versatile piece, team with flat sandals for a holiday or with barely there heels and earrings for a summer occasion look.